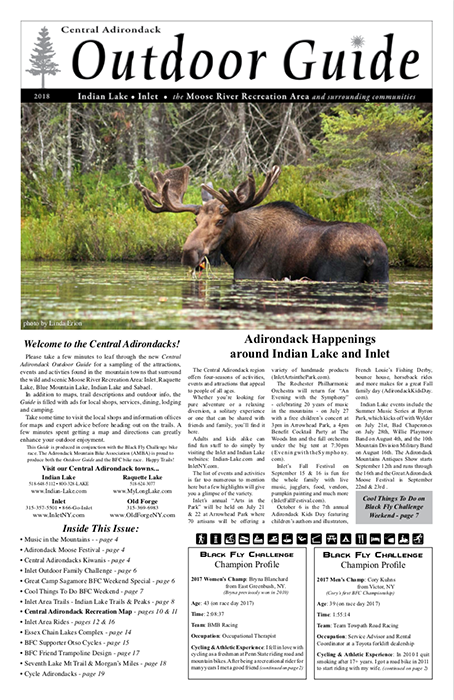 Produced in conjunction with the Black Fly Challenge, the Central Adirondack Outdoor Guide offers a sampling of the attractions, events and activities found in the mountain towns that surround the wild and scenic Moose River Recreation Area: Inlet, Raquette Lake, Blue Mountain Lake, Indian Lake and Sabael. 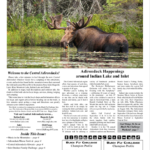 In addition to maps, trail descriptions and outdoor info, the Outdoor Guide is filled with ads for local shops, services, dining, lodging and camping. Please support theses cycling-friendly sponsors of the BFC! It may be hard for non-Adirondackers to believe but we finally had a Spring day – in fact two in a row! If this weather continues the Limekiln-to-Cedar River road through the Moose River Recreation Area should be rideable soon even though it won’t be open to vehicles until Memorial Day weekend. 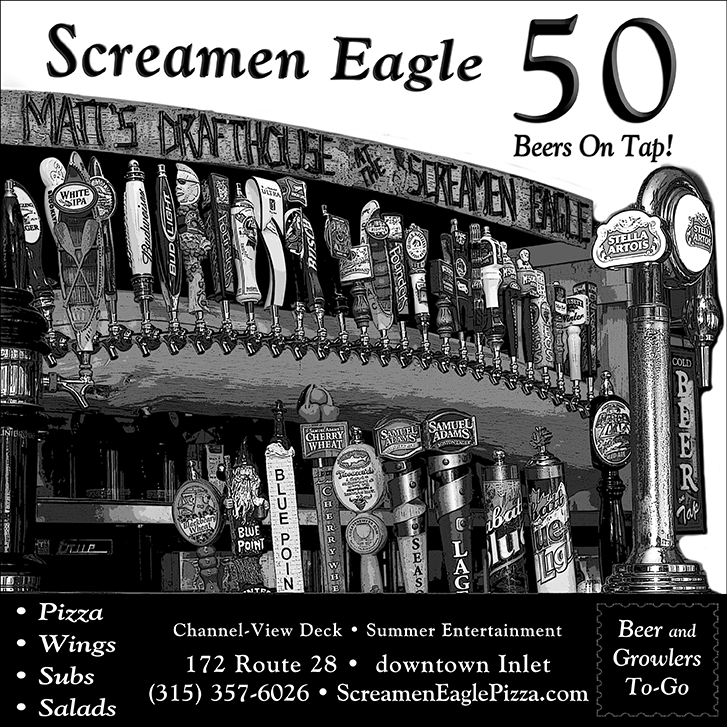 If you’re up for a training ride stop in to Screamen Eagle, Pedals & Petals or Pine’s Country Store to say ‘hi’ and report on the road conditions. And don’t forget to make a reservation with one of our BFC Lodging Sponsors. See ya soon! June 8-10, 2018 ~ Make it a BFC Weekend! Deer Meadows Motel (Inlet) ~ Provides transportation for guests racing the BFC! Garnet Hill Lodge (North River) ~ Provides transportation for guests racing the BFC! Great Camp Sagamore (Raquette Lake) ~ Provides transportation for guests racing the BFC along with an extensive Bike, Bed, Breakfast & BBQ package! Please Support the BFC 2017 Sponsors! The deadline to become a BFC 2017 sponsor or place an ad in the Outdoor Guide is coming soon! 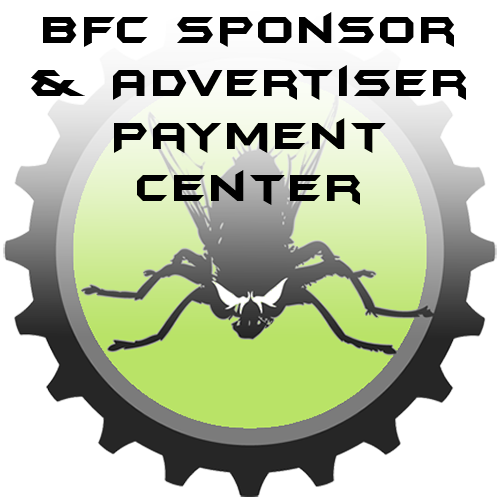 Click here to view a pdf of sponsor/advertiser rates & benefits. 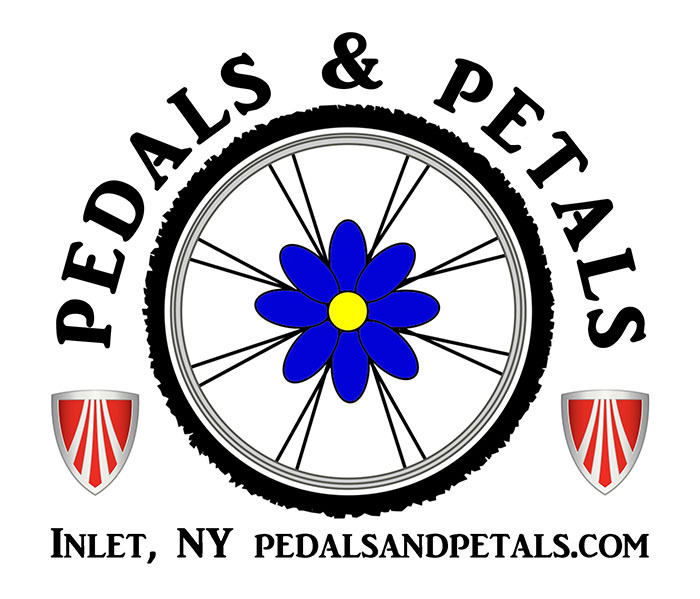 Pedals & Petals returns as Presenting Sponsor for BFC 2017 and, as always, home of the Black Fly Challenge. 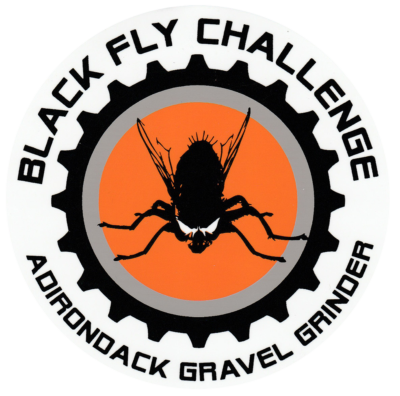 Black Fly Friends include LOCALadk magazine, Screamen Eagle Pizza (and the Fatbike Challenge) and Walmart. We thank them for their years of support. 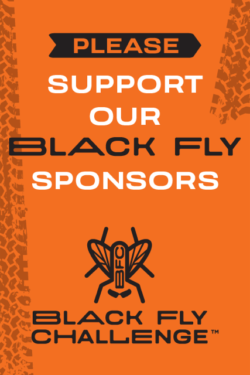 Black Fly Fans include returning sponsors Town of Indian Lake, Inlet Area Business Association and Tamarack Cafe & Putterfingers Mini Golf. Welcome new sponsors Adirondack Brewery and Blue Line Brewery! BFC Web (lodging) Sponsors include Great Camp Sagamore, Marina Motel and Rocky Point Properties. Please support our cycling-friendly BFC sponsors! 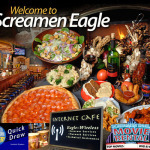 Long-time BFC sponsor Screamen Eagle has offered to provide prizes for this year’s Fatbike Challenge! Prizes to be determined but you can be sure they’ll include pizza, wings and beer! Like last year, Fatbike Challenge competitors will need to add their bib number to the Challenge list at race day packet pickup. Make it a BFC Weekend ~ Stay with our Lodging Sponsors! 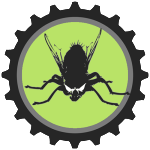 Voted one of America’s Best Bike Shops in 2014, Pedals & Petals is the Presenting Sponsor for the 20th Anniversary Black Fly Challenge. It seems only appropriate that the home of the BFC is one of its major sponsors. 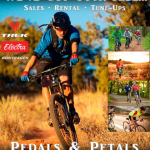 Every year as the race approaches Pedals & Petals becomes BFC Central, not only for race production and volunteers but for hundreds of racers that stop in for last minute tune-ups, gear and for Friday pre-race registration. 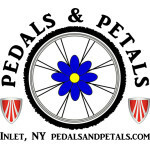 Pedals & Petals is located on Route 28 in Inlet. 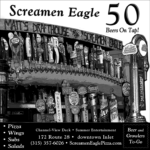 Stop in and say “hi” to Ted and the crew! The BFC race committee is proud to announce an agreement has been reached with Epic Outdoor Adventures that will make Epic the BFC Title Sponsor for the next three years. Epic is famous for creativity and customization, as evidenced by the BFC raffle bikes – both last year’s bike and this year’s bike were selected and customized by Brian. 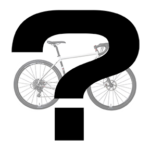 Epic also supports numerous community events in addition to the BFC, including community rides, the Green Lakes Triathlon, McCauley Mt Fatbike Fest and Winona Forest IditaFAT, among others. 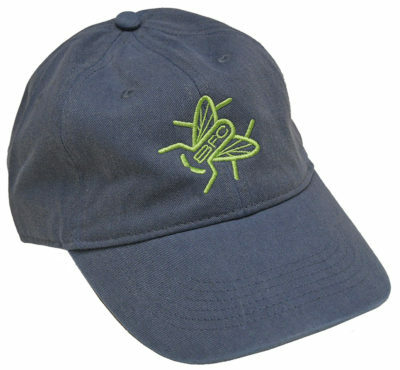 Black Fly Challenge is proud to announce that Epic Outdoor Adventures has signed on as BFC Title Sponsor for the next three years! 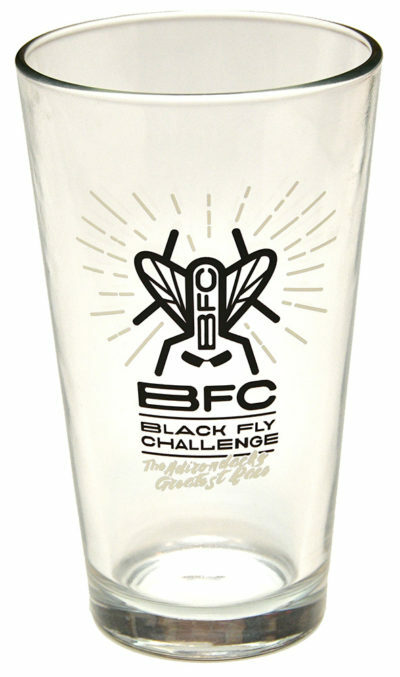 For the next three years the race will be known as the Epic Black Fly Challenge. 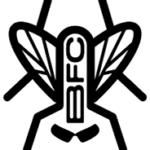 The BFC welcomes the return of Epic Outdoor Adventures as the Presenting Sponsor of the 20th Anniversary Black Fly Challenge. 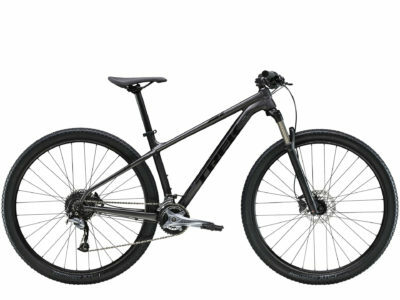 Epic will again provide a custom bike to be raffled, this time valued at $2,000.00. 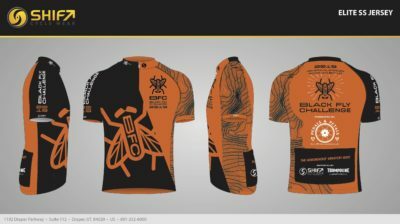 And new this year, Epic will provide prizes for a special Epic Fat Bike Challenge. Stay tuned, more details to follow soon!